In comparison to the K300+, the K350+ features increases in drive train, stroke, horsepower, weight, head diameter and hold-down force, resulting in an up to 10 percent capacity increase, according to the manufacturer. 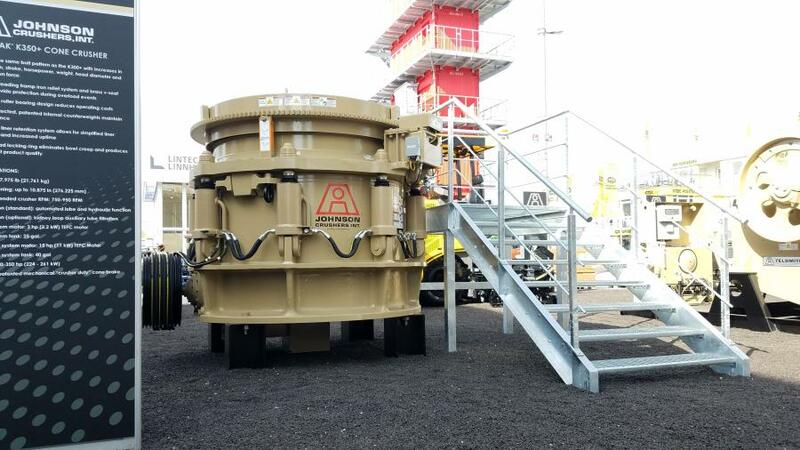 Johnson Crushers International Inc. has expanded its Kodiak Plus cone crusher series with the new K350+. This mid-range model offers higher production with a smaller footprint. "We have been testing the K350+ for a few years, especially on portable plants, and it has far surpassed our expectations. We are excited to release the K350+ to the market," said Ian Pendergrass, product manager of Johnson Crushers International.